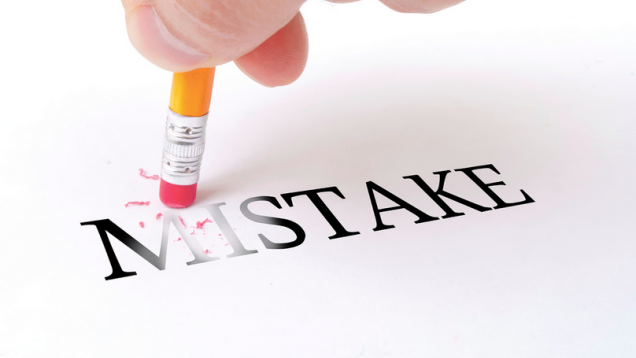 Let’s face it, mistakes are going to happen no matter who you are and how careful you are. The good thing is that mistakes can be fixed and even prevented. Here are a few mistakes that are common in the workplace and can be nipped in the bud before they ever happen. One of the most blatent mistakes that managers make is to not give a solid foundation in training new hires. Whether it is being too busy or allowing another employee to take over the training without following up on how it is going – poor training hurts the company in so many ways. Training is a solid investment and should always be at the forefront of any employee’s experience. Preventative Maintenance is integral to your operations running smoothly. Those who take a reactive stance are always fixing what is broken instead of making sure their facilities and equipment – doesn’t break in the first place. Being reactive not only creates unnecessary downtime but affects the entire operation, including employee morale. It is expensive and takes time and money away from normal operations. Some people work by the adage, “If it ain’t broke, don’t fix it.” However, new and exciting changes in technology means that you can manage your workplace easier and make it more streamlined. Keep in mind that while some employees may scoff at new technology, your younger hires are going to embrace it since they are more accustomed to learning new systems and navigating software interfaces. This doesn’t mean you can ignore things like good training and being proactive but it does mean that you should choose things that are helpful to your maintenance department and technology such as CMMS is just one of them. These are just a few tips on avoiding mistakes in the workplace but they are more of a way of life and a way to make your workplace easier to manage.